On May 30th 2008 the Engineering Building of the Tretyakov Gallery opened an exhibition celebrating the 1020th anniversary of the baptism of Rus’. This landmark event started the process of the Christianization of the Slavic peoples of Russia, Ukraine and Belarus. The list of exhibits includes 89 icons painted in the period between the 14th and 19 th centuries from the major museums of Moscow, Kiev and Minsk. The Tretyakov Gallery presents a collection of the oldest icons demonstrating the variety of the art of Ancient Russia’s cultural centres in the period between the 14th and 16th centuries. The collection of the National Kievo-Pechersky Historical and Cultural Reserve reveals the evolution of local icon-painting art in the 16th-19th centuries, tracing it from the post-Byzantine period to Barocco. 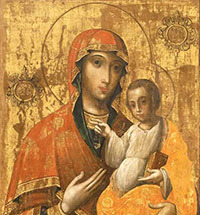 The National Art Museum of the Republic of Belarus introduces a collection of 17th-19th century icons, including works reminiscent of the Byzantine tradition, alongside those created in a manner characteristic of Barocco and Classicism. The story of Viktor Vasnetsov’s study for the “Alenushka” painting (Tretyakov Gallery, 1881), kept at the Abramtsevo Museum Reserve was quite circuitous in spite of a propitious “starting point”. 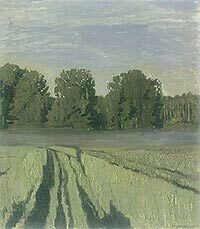 The picture came to the museum in 1967 from Lydia Ruslanova’s collection; previously it was already included in a list of Vasnetsov’s works compiled by Nikolai Morgunov and Natalya Morgunova-Rudnitskaya: “Alenushka. 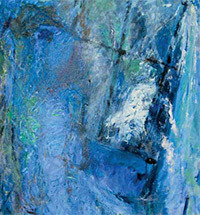 Oil on canvas, 68 by 48 cm. 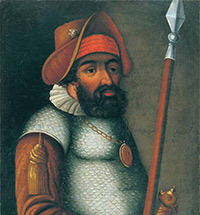 Lower left: V. Vasnetsov. 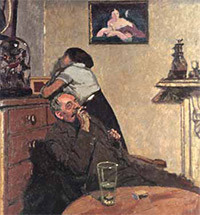 The study is fairly closely related to the painting at the Tretyakov Gallery. 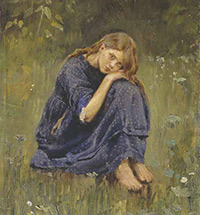 Shown at an exhibition of Vasnetsov’s works from private collections at the Moscow Branch of the Artists’ Society in June 1947. 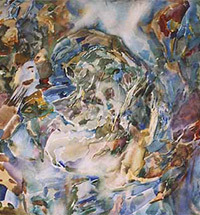 Lydia Ruslanova’s collection, Moscow.” One would think that this information was exhaustive and no further research into the attribution of the piece was called for. 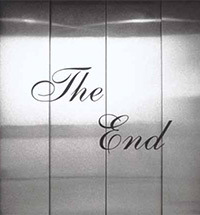 However, something about the picture disquieted museum staff suggesting that the study should not be categorized as the artist’s “last preparatory work”. A certain link seemed to be missing between the two “Alenushka”s, a link that would illuminate the logic behind Vasnetsov’s work on the painting based on a “fairy tale subject”. Christie’s was honoured and felt privileged to be able to hold a second exhibition at the Tretyakov Gallery - a Treasury of Russian Art and one of the leading museums of the world. 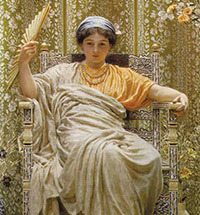 In 2007, Christie’s exhibited Vasily Vereshchagin’s “Solomon’s Wall” for the first time in Russia at the Tretyakov Gallery. 2016 marks Christie’s 250th anniversary and will be celebrated with a series of events and exhibitions throughout this historic year for the company. Within our 250th year, Christie’s also celebrates 10 Years in Dubai in March and 30 Years in Asia in May, two landmark anniversaries for these geographies. As the world’s leading art business, Christie’s has continued to be recognised as tastemakers in the art market, continually innovating its sales and works on offer to best suit collectors globally, all this since over two centuries. Christie’s was the first international auction house to bring Pre-Raphaelite art to Russia, and this has been the result of the good and longstanding relationship with the Tretyakov Gallery, and we are grateful for all their support in the past, and, hopefully, in the future. An unparalleled overview of Ferdinand Hodler's work opened on April 9 2008 in the old building of the Museum of Fine Arts in Bern, in rooms specially designed for the exhibition. This show is one of the most important and comprehensive of Hodler's exhibitions, with over 150 major works from all periods; it will remain there until August 10 2008. 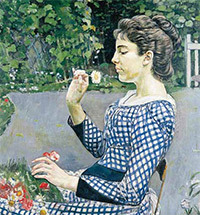 The exhibition was arranged in collaboration with the Budapest Museum of Fine Arts, and offers a unique overview of Hodler's work, clearly establishing the international significance of this Swiss painter. His large symbolist figure paintings are shown alongside his best landscapes. The exhibition is rounded out with his unique group of works dealing with the sick and dying Valentine Gode-Darel, his mistress, and with a selection of self-portraits. The art of one of the more significant, if shortlived, British artistic movements of the early 20th century, the Camden Town Group, received a landmark retrospective at London’s Tate Britain museum, which closed in May. It proved the first major exhibition for the movement in the British capital for 20 years. The solo exhibition of Aaron April at the Tretyakov Gallery coincided with the 60 th anniversary of the foundation of the State of Israel, where the artist has been living and working for nearly 40 years. The tragic rupture in the history of 20th-century Russian art and a gap of several decades between the first and second avant-garde movements was particularly detrimental to artistic continuity. For artists of subsequent generations the few surviving luminaries of leftist art became living proof that the Russian avant-garde still existed, although many works had been destroyed or hidden in provincial archives. 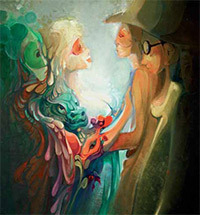 “Cerca Trova”, the phrase of a prominent Italian Renaissance architect used as an epigraph for this article in many respects reflects the life in art of the contemporary Azerbaijani painter and graphic artist Farkhad Khalilov whose solo show was hosted by the Tretyakov Gallery from April 16 through May 18 2008. Giacomo de Pass’s first exhibition took place when he was 18, and he won acclaim at once. Since 1960 his works have been displayed together with those of Salvador Dali, Marc Chagall, Joan Miro, and Pablo Picasso. 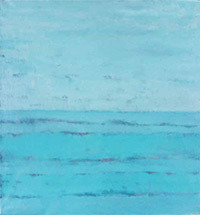 De Pass has had more than 100 solo shows at the most prestigious galleries and museums all over the world. The “Mes Passions” exhibition at the Tretyakov Gallery (in the Tolmachy exhibition hall) features the artist’s paintings, drawings and sculptures created over the last 30 years. 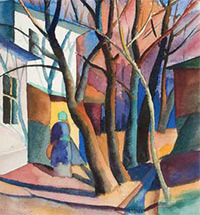 The Tretyakov Gallery show commemorates the artist’s 70th anniversary. I happened to be in New York in March this year and naturally did not miss a chance to visit the 2008 Biennial at the Whitney Museum of American Art. This most important survey of the state of contemporary art in the USA today should by all means be of special interest for me - a representative of a country which has very little (or better to say no) experience in organizing such cultural events: 74 in the Whitney in New York against 2 in Moscow! Nevertheless the idea to make a comparison seemed real - each large-scale survey mirrors the most vivid tendencies common for the state of contemporary art in general. My expectations came true. As it was put by Donna de Salvo, the Whitney Chief Curator and Associate Director for Programmes: “The Biennial is a laboratory, a way of ‘taking the temperature’, of what is happening now and putting it on view... In dealing with the art of the present, there are no easy assessments, only multiple points of entry. For the Whitney, and for our public, we hope the Biennial is one way in." In the first half of 2008, the Russian Academy of Arts’ museum exhibitions and scientific and educational activities have shown impressive creative results in the diverse areas of its multi-faceted work. Dozens of modern art shows, by both Russian and foreign artists, have been displayed at the Academy’s halls, in the Zurab Tsereteli Gallery and Museum of Modern Art, and at other exhibition centres in Moscow and other cities in the country. Russia’s multi-objective programme encompassing the spiritual upbringing of the younger generation and the broadening of the aesthetic world of Russian citizens is actively taking shape. The 29th Olympics are due to begin on August 8 2008 on the central square of the Chinese capital. The Beijing Olympics motto is “One world, one dream". 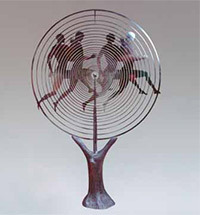 A mobile exhibition “Olympics and Sculpture" took off in August 2005. The travel of the 2008 Olympics statues is a high-profile cultural event organized by the Beijing Organizing Committee for the 29th Olympics and other organizations. First stage of the project involved soliciting submissions from sculptures from all over the world. Sculptors from 90 nations from five continents responded to the call, and 270 best works originating from 25 nations were selected from among 2,433 submissions.